For asking questions and discussing 4diac related issues the 4diac discussion forum is here for you. 4diac bugs and enhancements are maintained using Bugzilla. Please submit issues and suggestions on 4diac IDE, 4diac FORTE, libraries, examples as well as the web page here. Thanks for your interest to support 4diac. There are multiple ways to contribute. 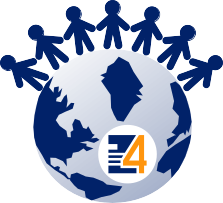 Spread the word: link to 4diac, use 4diac logo on your web page, write articles, blog entries, etc. Find and report bugs to ensure the quality of 4diac. Submit ideas for improvement via 4diac's Bugzilla. Review and verify reported bugs. Sometimes there is not enough info attached to a bug report or it is hard to reproduce. Trying to reproduce a bug and extending the description is of great value. Rate Bugs, feature requests, and ideas. This helps that we can focus our limited resources on the most important elements first. If you are a developer feel free to grab the code and start hacking. You can submit your patch any time when you are ready. Extend and improve FB library. Having a large set of FBs increases the usability of 4diac for developing control solutions. For ideas where to start your effort have a look at the bugs and features submitted to the 4diac's issue tracker. For getting started feel free to ask questions in the 4diac discussion forum and in 4diac's mailing list.